Inflation is the economic plague of the modern world, completely undermining conventional theory and policies for its containment, and setting governments, management and labour on a dangerous collision course. Its alarming spread is only paralleled by the expansion of multinational corporations, some of them more economically powerful than nation states. This book, first published in 1971, provided a totally new perspective on these phenomena, linking them in a common theory based on a thorough analysis of the modern role of capital financing in the global economy. It demonstrates the impact of technology on self-financing growth and explains why inflation can never ben stemmed by attacks on wage costs when the source lies in the need of managements to maximise cash flows. Alternative economic policies are discussed, including proposals for creating assets for workers in the self-financing investment. 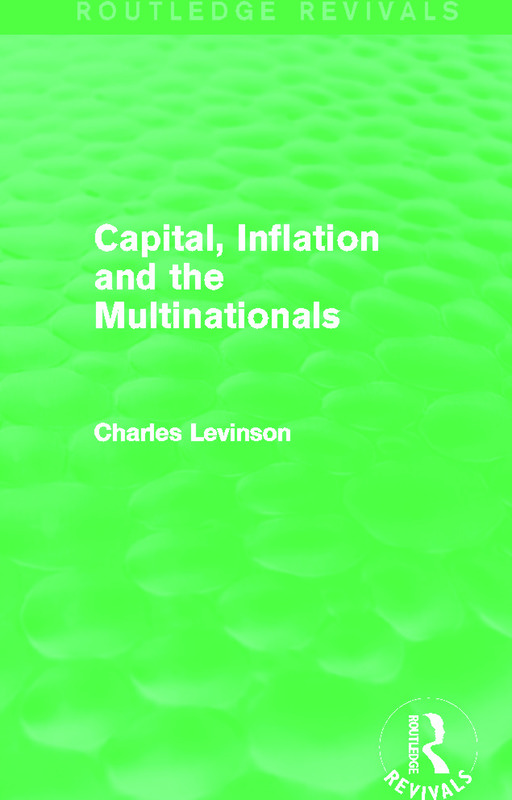 Charles Levinson draws together the strands of his subject in a way which is comprehensive and rigorous, yet easily accessible to the more general reader. The conclusions reached in Capital Inflation and the Multinationals are still of great interest and relevance to professional economists and students, political practitioners and commentators.